We talk about TV Everywhere, but did you know TDS TV also gives you music everywhere? I’m a long-time customer and I just discovered this awesome feature. If you subscribe to the Expanded or Expanded Plus programming tier, you should know about it too! 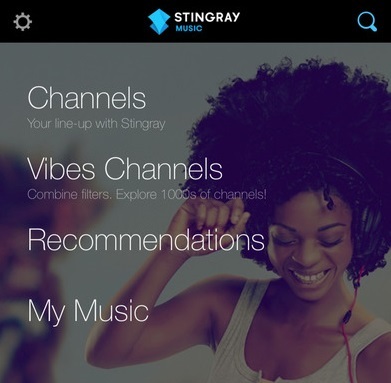 With your existing program subscription, you can stream Stingray Music—anywhere—for free. Quick Stingray recap if for some reason you’ve never tuned in: You’ll find 50 commercial-free Stingray Music channels on your TV whenever you’re at home (channels 5001-5050 in your lineup). From pop to jazz to country (and pretty much everything in between), there’s something for everyone. And, just like the services you’d pay extra for, Stingray’s channels are curated too. They have a team of music experts who keep the channels fresh and interesting (heck, they even added karaoke around the holidays!). 1. 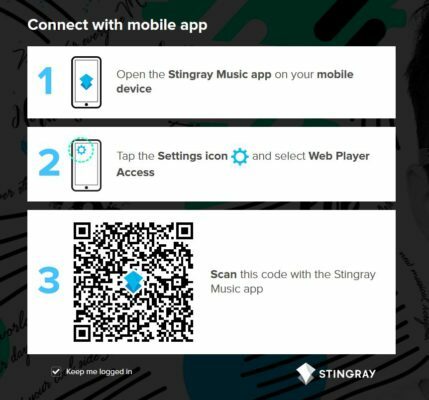 Download the Stingray Music app for your phone or tablet (available for Android and Apple). 3. Choose your provider. Choose to List all TV Providers and select TDS (hint: you can search at the top so you don’t have to scroll down). 4. Listen, or authenticate then listen. If you’re not at home when you try the app, you’ll get a few days to listen before you have to authenticate (procrastination for the win!). But don’t put it off because you think it’s going to be a hassle—it’ll only take you about 15 seconds. Here’s what to do: Turn on your TV to one of the music channels. Then, open the app and select Authenticate. Hold up your phone so it can “listen” to what on the TV (almost like using Shazam, if you have that app) and you should be good to go. The app gives you 120 days to listen before you have to re-authenticate. Given how fast and easy it was, that’s no biggie in my opinion. 1. Download the Stingray music app. Go ahead and sign up if you haven’t already. (If you want to wait, that’s okay, but you won’t be waiting long since you have to sign up in step 3). 3. Launch the web player. Choose the option that fits your situation—either sign up or sign in. 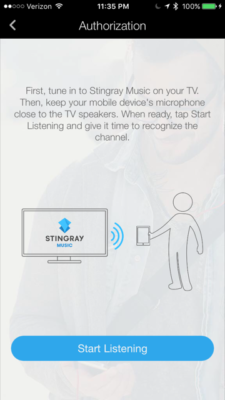 Stingray will ask you to connect your app using the directions below. NOTE: The code below is just an example and will not work for you. You’ll need your own unique code for it to work. I hope you enjoy Stingray on the go as much as I am. In my opinion, it makes my TDS TV subscription that much more of a great value :-).